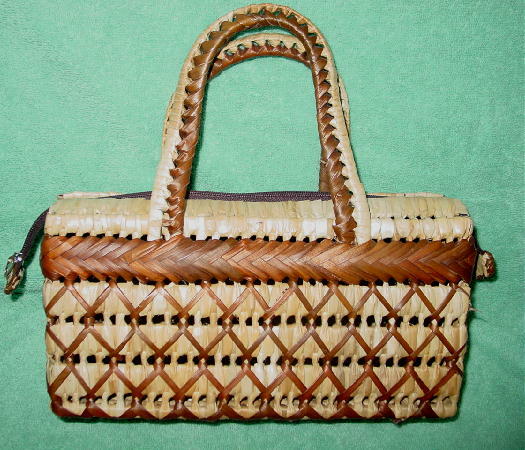 This foreign handmade vintage straw handbag is in various shades of brown and natural. It has two 14 1/4" handles and a top side to side zippered opening. There is no lining, and it has a vertical open weave design pattern. 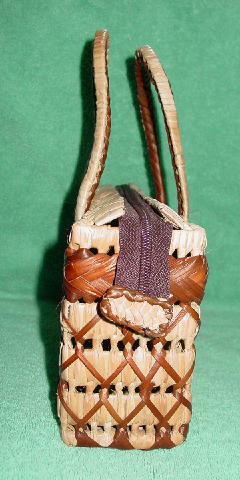 It has a firm structure and the woven straw has some body to it.